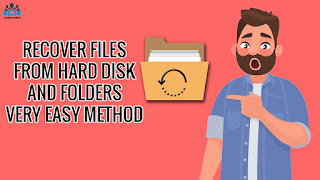 So in this tutorial video below i am going to tell you how to recover those deleted files very easily if you have formatted your whole drive or deleted a files from any of your folder do not worry because here is the fix!. Watch the tutorial carefully and completely. As we all know when we mistakenly delete our important files its the most horrible thing we do on our systems. So in this tutorial video below i am going to tell you how to recover those deleted files very easily if you have formatted your whole drive or deleted a files from any of your folder do not worry because here is the fix!. Watch the tutorial carefully and completely.